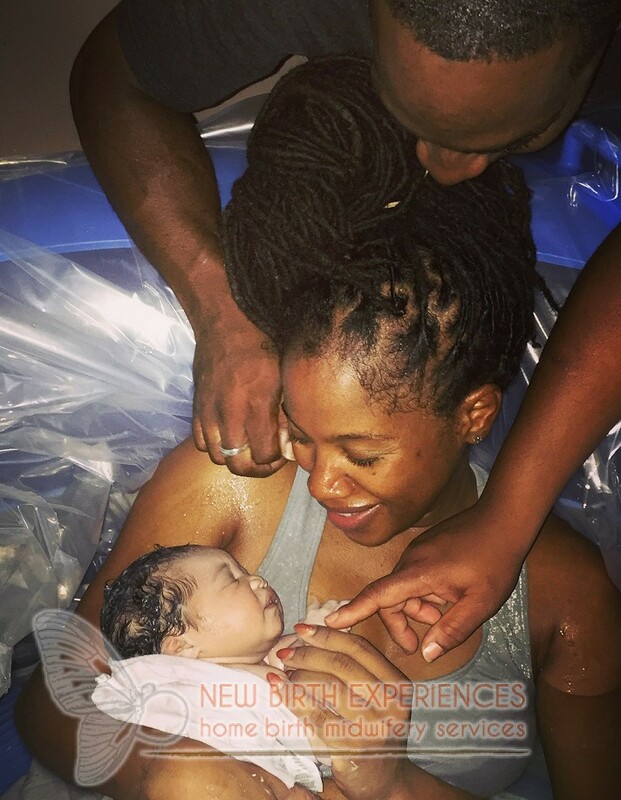 Water Birth is a popular option for home births. Women achieve a level of comfort in water that in turn reduces their levels of fear and stress. Women’s perception of pain is greatly influenced by their level of anxiety. The labor during a water birth is physically easier, allowing her the ability to concentrate calmly focus inward on the birth processes. Most women relax as soon as they enter the warm water. It lowers adrenalin and encourages endorphins, the hormones that are the body’s own pain relievers. The water supports the weight of the baby and eases the many aches and pains of late pregnancy helping the mother to relax so the endorphin level rises. A water birth provides support to the mother and allows her to adopt any position which she finds comfortable without getting too tired. A water also helps to soften the perineum and makes it easier to be born without tearing or needing an episiotomy and therefore no stitches. The concept of water birth is an extension of the beginning of our existence. Our first nine months of existence took place in the safe, nurturing water of our mother’s womb. The use of water in labor is used in many ways from hot wet towels to full immersion. For thousands of years women have been using water to ease labor and facilitate birth. Water birth has become more popular over the years. Studies have shown that when immersed in water during labor hormonal level increase and muscles relax ensuring a faster more effective labor and birth. The ease of the mother who labors and gives birth in water becomes the ease of the baby during a water birth. The baby has been in amniotic water through pregnancy and being born in water is a gentle transition from the womb to your loving arms, water is familiar to the baby and helps him to feel more secure. The baby emerges into the water and is “caught” either by the mother herself, a spouse or the midwife in the water birth tub. In the water, the child has freedom of movement within familiar fluid surroundings. The water offers a familiar comfort after the stress of birth, reassuring the child and allowing his bodily systems time to organize. There are a number of different types of water birth tubs available to rent. I offer the Aqua Doula tub, LaBassine, and Tub-in-a-Box. Your tub will be delivered at your 36 week home visit.